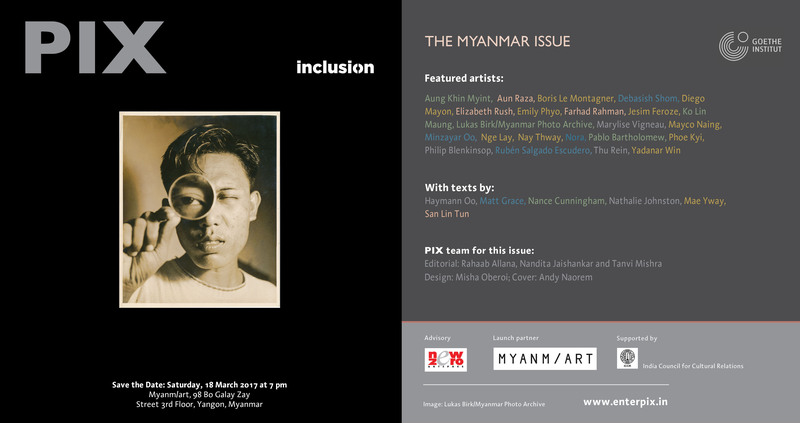 My images from Still Lifes from a Vanishing City: Essays and Photographs from Yangon, Myanmar have been selected for inclusion in the Goethe Institute’s latest publication, “Inclusion”. It is a collection of contemporary visions of Myanmar. If you are in Yangon please come to the book launch on March 18th at 7 pm at 98 Bo Galay Zay Street. 3rd floor. Details in the image below.